The Metro holds a lot of surprises indeed. 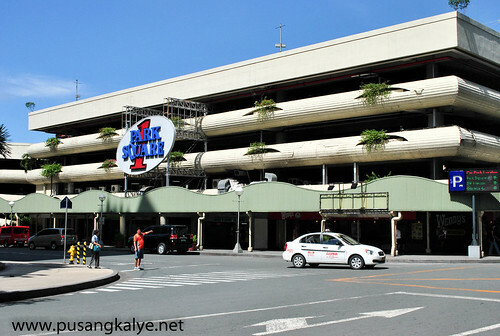 I am a big fan of Makati's financial and shopping districts but I never thought that in a place like Park Square 1 behind SM lies something else other than parking space. 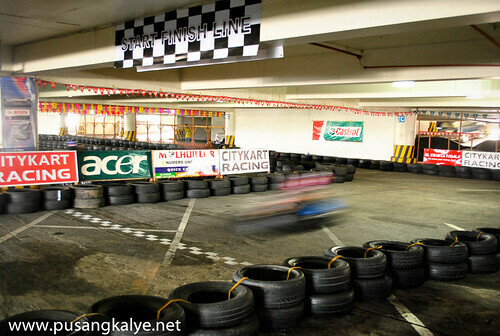 Yeah, this is also where you can find CITY KART RACING. 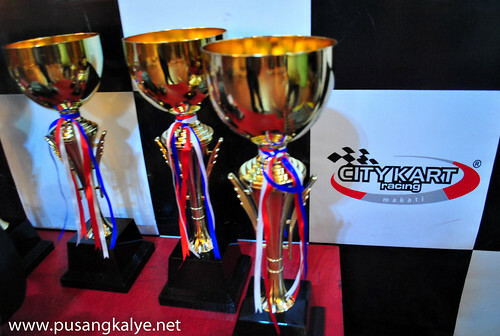 City Kart Racing is a concept taken from a European standard of Go-Karting using the latest technology in equipment, layout of track/design and facilities that would cater to the new generation of drivers. I was surprised that there is such facility in Central Manila. I found out during the orientation that the company was originally based in Paranaque until they moved to Makati this year. I am sure was not the only one who originally thought that the facility is only for child's play. I never thought it's a serious facility. I was wrong. 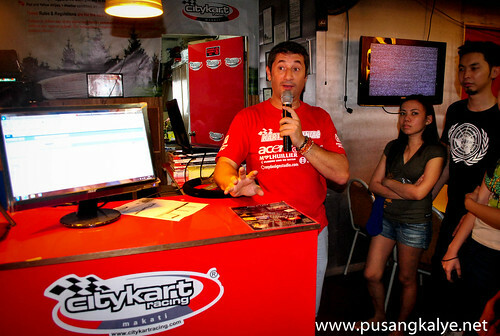 City Kart Racing (CKR), now under Urban Karting Manila, Inc., was introduced in the Philippines in 2006 by Jean-Marc Freihuber, former French professional racer with 15 years of experience with kart track management in Europe and 4 years in the Philippines. 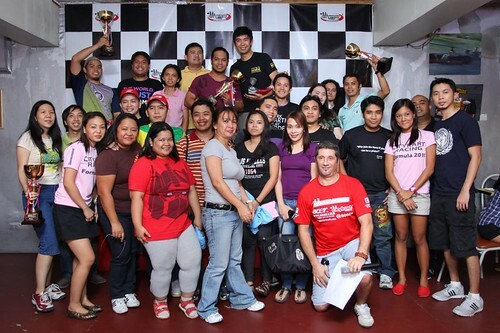 --A starting point for a professional career in racing, beginners can attend karting clinics with invaluable instructions coming from a professional racer. 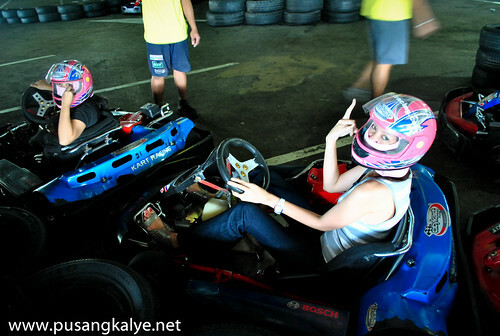 --An arrive-and-drive facility, enthusiasts do not need to invest on expensive equipment (race suits, helmets, karts); all of these are provided for. 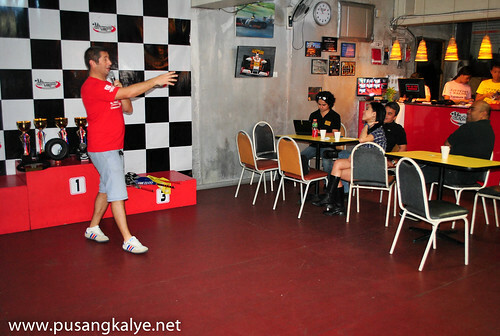 --A unique venue for events (corporate events, special occasions/celebrations) where the objective is to have a memorable, exhilarating and distinctive experience. It was later on that I found out its no ordinary facility. Aside from the fact that they have the fastest Go-Karts in the country, they even use the best software there is in the market, a program which only a few companies of this nature in the world use.Your lap time accounted for even in 0.000 seconds. That precise. 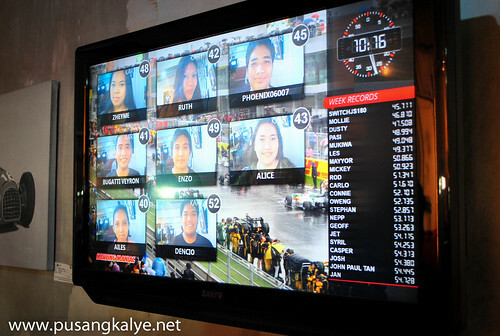 Best of all, your time is flashed on the tv screen updated every lap. 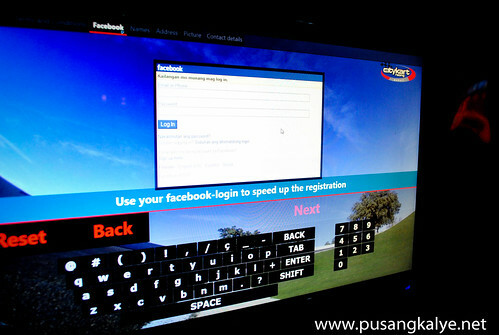 The first thing we did during the 1st Blogger's BLAZE Fun Cup (BBLFC) was register with our Facebook accounts. It's a cool thing because it is integrated with the system in such a way that you get updates on your Facebook wall about you Karting so that your friends would know it while you are on the wheels. We were each allowed 12 minutes to practice in the track. As I said it was my first time and the experience was very exciting. I had difficulty at first as I was too nervous but thought that the kart would not topple no matter how I turn gave a little reassurance. There are also many marshals around to help you in case you get stuck in the middle of the circuit. It was tempting to hit the gas full throttle but you have to be mindful of the curves so as to have a smooth run. 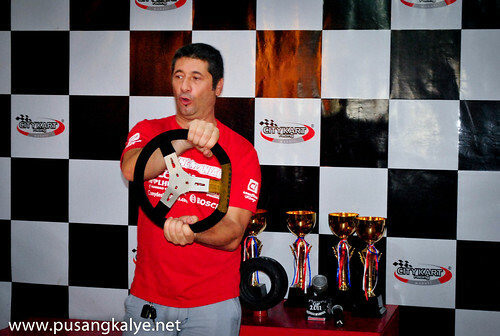 I skidded many times and occasionally hit the rubber tires guiding the track. It was fast and fun. I finished 8th in my group during the warm up. Not bad. Or was it bad? I was simply happy I did it!!!! We rested for a few minutes and got oriented again for the serious race. 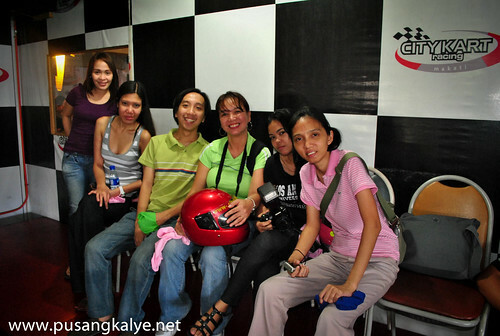 Bloggers and media participants were grouped into three (3) per group. Too bad I was running late for another event so I had decline the contest. I already had my experience and I would definitely be back for more.!!!! 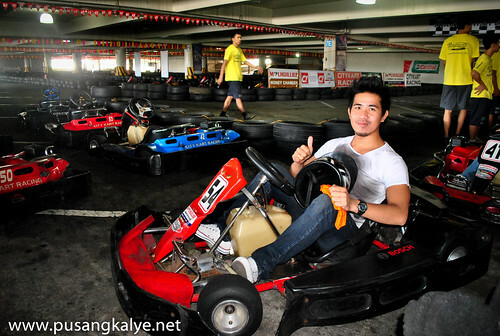 There are also karts for professionals. Cool!!! After the race, you get your time report forwarded to your email and it's even shared on your Facebook wall so that you can compare it with your friends who also tried City Kart Racing. 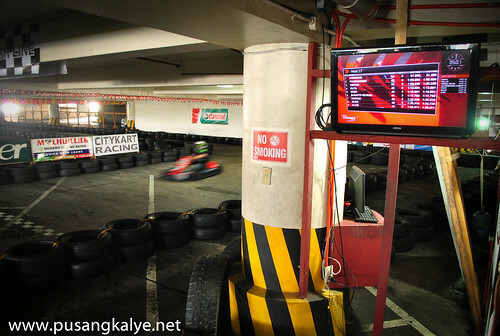 The City kart racing facility in Park Square 1 Makati is indeed an amazing facilty to try Go-Karting. It's safe and indoor and equipped with the best software and staff to ensure that you have the maximum enjoyment, safety and accurate time should you decide to go serious on it. 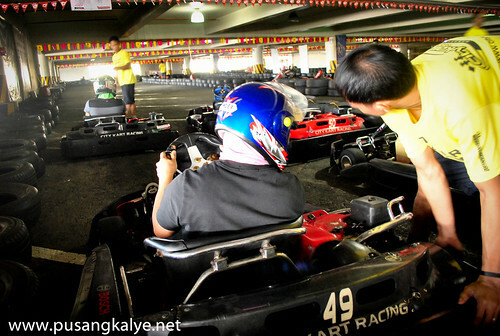 Currently, their rates starts at 560 php for 12 minutes which is already a good deal to think that they use the best and fastest Go-Karts in the country. I suggest that you take your family of barkada here and try it.It's fun fun fun and your adrenaline level will definitely shoot up!!!! Man .. Beautiful .. Amazing .. I will bookmark your site and take the feeds alsoI am satisfied to seek out a lot of helpful info here within the put up, we need develop extra strategies on this regard, thanks for sharing. . . . . .
araw araw ko nadadaan ang park square di ko alam na may ganyan pala diyan. Wow! Looks fun. Andami ko ng naiipon na idea. Thanks!